It's difficult to quantify how much an experience helps you grow as a person and as a community. 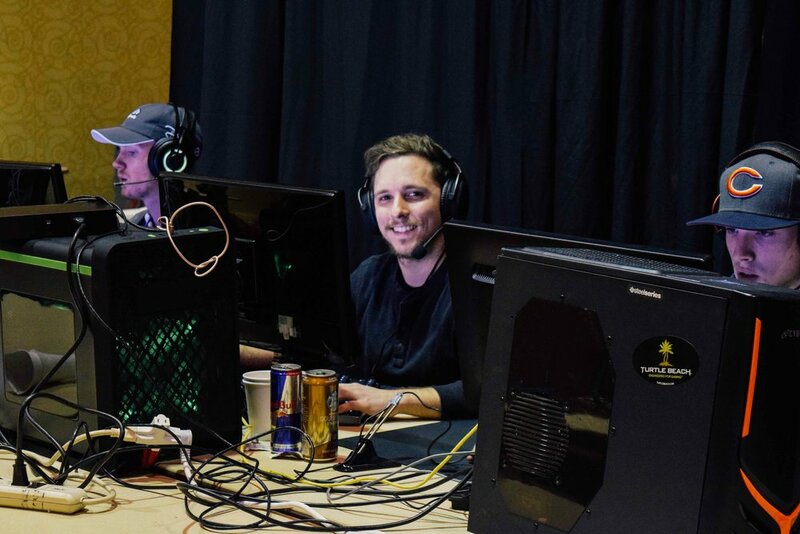 Midwest LAN: Arctic Warfare was another event that pushed me to think about perspective and really get up close and personal with people. 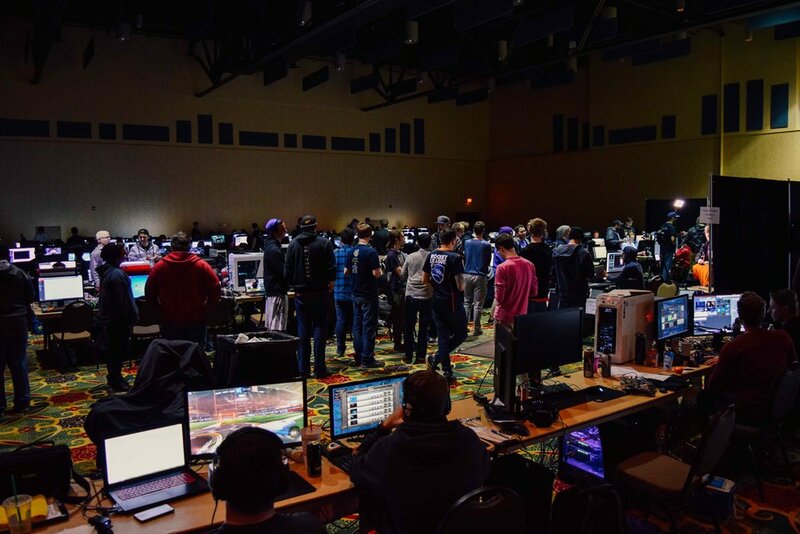 Earlier this year, the Arctic Warfare event held over 300 gamers, raised over $5,000 for Extra Life and Children's Hospital of Wisconsin, and lasted for 3 consecutive days. Jam packed with tournaments for CS:GO, Starcraft 2, Rocket League, Overwatch, and Hearthstone – there was never a dull moment. People getting their player portraits professionally taken and shown on a large viewing screen while streaming the tourneys, themed and team outfits, multiple raffles, and 24-hour gaming – who could need anything else in a weekend? 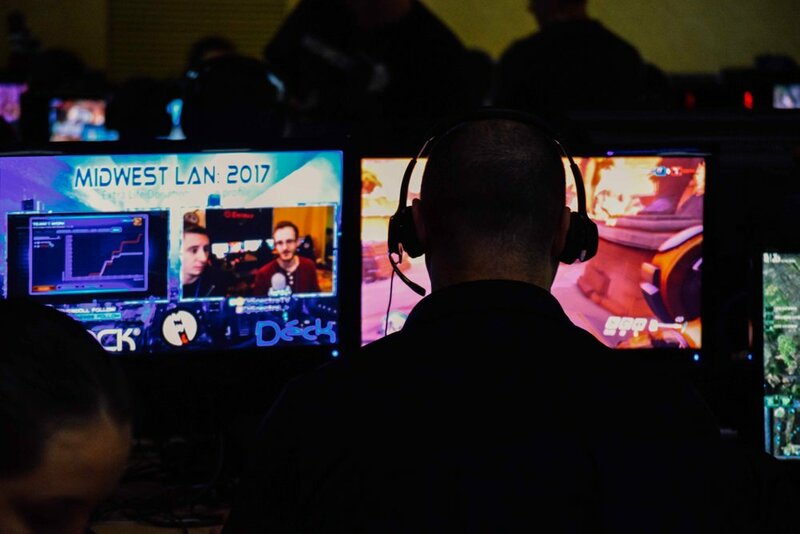 Midwest LAN also paired up with Mad City GG, Geek Kon, and Gamers HQ to throw the event and provide loads of action throughout the weekend. A few streamers, like TheHaleyBaby and DJ Spectre, took time out of their schedules to stream different games too. All in all, it was a packed event! Seriously though – get in on the action for the next event because, if you game, you need to be here! Keep up to date with everything Midwest LAN via their Facebook page or website. Shooting these are getting more and more fun because the types of people you encounter, interesting discussions you have (game-related or not), and the overall camaraderie and hype you feel. As far as photography goes, squeezing in between gamers, trying to get an angle where faces weren't cut off by screens and generally capturing people's reactions was beyond complicated. Seeing as this event doubled in numbers since the last one, I thought I would just need to take more pictures. I was wrong. Angles, perspective, crouching on the floor at all hours of the day, standing on chairs to capture the enormity of the event, low light (ugh), and a high intensity, fast-paced crowd...these are the elements that this event has been helping me with. I'll be renting/buying a new lens specifically for this event and ones like it, so I can't wait for more low light opportunities where I can shoot all of those candid moments amongst beautiful people!